We first met these two fine looking lovebirds at St. Louis Bread Company a few months back, and instantly found a ton in common, from the love of our dogs to the area we grew up in! Just a couple weeks after meeting, Tiffany was speaking with a woman who turned out to be Jessica's mother, Jane! What a small world! Jane gave Tiffany a peek of Jessica's (gorgeous!) wedding dress, which was really exciting. This weekend, we were able to pull Kurtis away from his projects and work and got him to share some smiles with us and his beautiful future bride, Jessica. As soon as we met this lovely couple at Lafayette Park in St. Louis, we thought we were going to have an extra helper along for the ride because Jessica ran in to her boss, Mary--who is extremely nice and appeared to have an endless supply of high energy!! She was super excited to get to see Jessica and Kurtis before we all scurried off for engagement pictures. Of course, we had to work around another wedding ceremony and reception taking place at the park, but that was no big deal. It was great weather and we all rocked it! 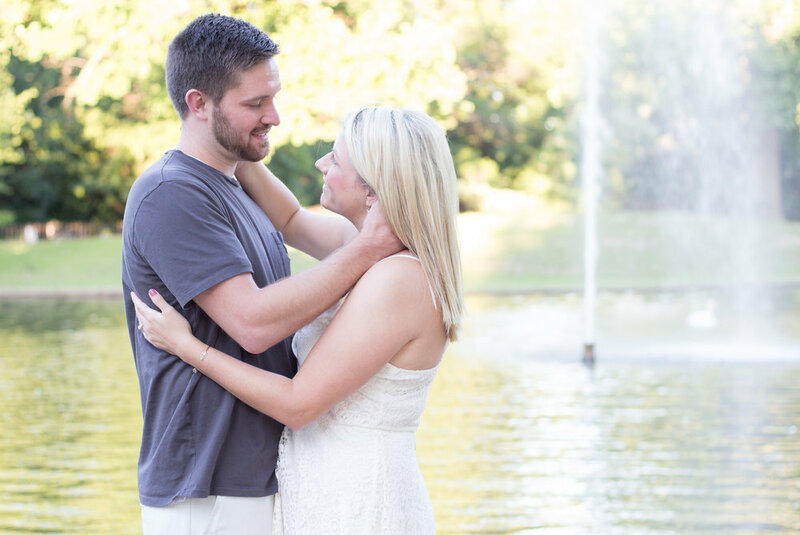 Kurtis and Jessica, we can't thank you enough for trusting us with your engagement and wedding photography! It's been such a pleasure meeting you and spending some time getting to know you better... and we can't WAIT for your wedding this fall! !